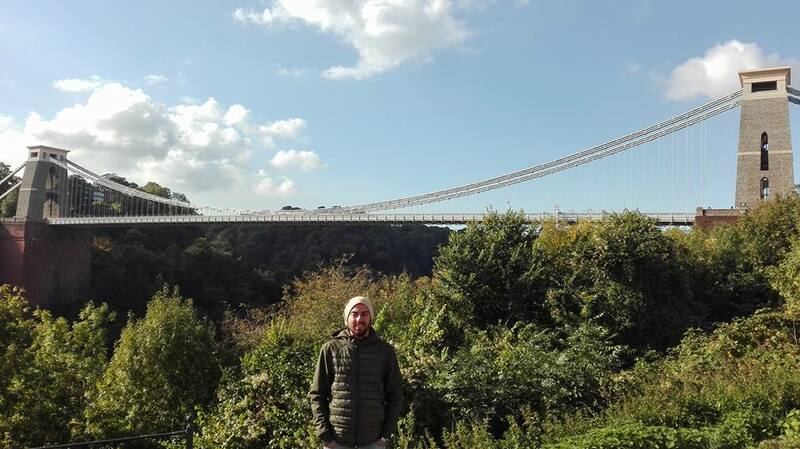 Good evening to everybody, I’m Matteo Masella from Italy, i’m 23 years old and i would tell you about my experience with Living Learning English with the teacher Susan Caporn in Bristol. It was a beautiful experience where i could have learnt a lot thanks to the teacher who did an amazing job ! Susan was always available giving a help everytime i had some problems. Having meals with the family was so important thanks to the teacher’s husband who was very nice, he made good dishes and was important for this experience because i spoke a lot with him too. I did two beautiful activities with the teacher as well where i could have seen Bristol very well discovering his history. Moreover the school Living Learning English organized my course very well so i reccomend this experience to everyone would like to improve his english. So thanks to the school and thanks to the teacher and her nice family ! here a photo with the Suspension Bridge behind me !